The increasing role of information and communication technologies in the transformation of society’s life is evident in modern world. The goal of this article is to analyze the use of information and communication technologies for religious purposes. 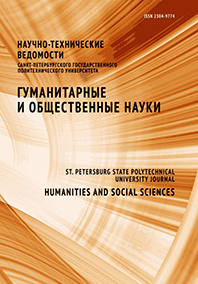 Based on analysis of the available data over the past two decades (websites of various religious denominations, smartphone applications, religious Internet services, both in Russia and abroad), the author has proposed to consider the increasing role of information and communication technologies as a unidirectional dynamic process that passes through certain stages. Initially, information and communication technologies are used by religious organizations and citizens for communicative and missionary activities. Many religious sites, forums, magazines, etc., appeared on the Internet in late 20th century. The opportunity to order religious services through the Internet is the next step in the increasing role of information and communication technologies. While ordering prayers on the Internet is common practice in the Western countries, proposals of this kind are currently limited and commercialized in Russia. The next stage in the increasing role of information and communication technologies is related to the implementation of rituals through their mediation, and the final stage is complete virtualization of religious practices, which means a technologically mediated contact with the Supreme Transcendental Entity, that is, a fundamental change in religion.